This portable and useful X-Power Mini Fan is the ideal solution for a range of industrial applications and environments. It features a 1/2 HP electric motor for efficient and reliable power. The strong and durable casing provides protection to interior components and the high quality construction is built for long term use. This particular fan has three speed settings and a max RPM of 1680. The mini nature of this fan makes it easily portable and ideal to carry around to different sites and workplaces. Best answer Hello Thomas, thank you for your question. 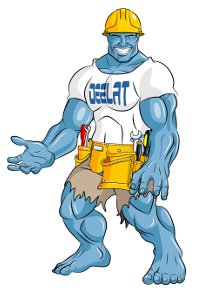 Deelat.com accepts returns of any product on our website within 30 days of receiving the product. So in theory you have a 30 day trail to see if this product works for you. Please note the product must be in our possession within 30 days.